SecureNinja’s Cloud + training and certification boot camp is designed to help students better understand and manage cloud technologies. This course has an emphasis on incorporating and managing cloud technologies as part of broader systems operations. It assumes a candidate will weave together solutions that meet specific business needs and work in a wide variety of different industries. This course will overall help students learn more about the cloud and how it works by properly showing how to configure, manage, and troubleshoot the cloud. This course also includes new technologies to support the changing cloud market as more organizations are becoming dependent on cloud technology. More companies than ever before have either already started using cloud-based technology, or plan on using cloud-based technology in the future. Taking the CompTIA Cloud + course will show employers that you are prepared with the knowledge and skills needed to protect and secure any cloud network. The cloud + certification sets individuals ahead of their peers and more valuable to employers because it contains real-life scenarios and covers important cloud technologies. This course is designed for anyone who works with cloud networks or is interested in learning about different cloud networks and how they work. Many jobs will soon require a cloud + certification and many jobs can benefit from having a cloud + certification. Jobs that use cloud + right now are System Administrators, System Engineers, Network Administrators, and many more. 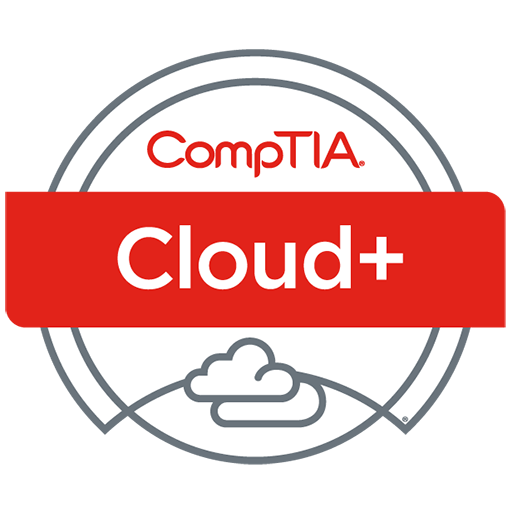 There are no required pre-requisites in order to take the CompTIA Cloud +; however, 2-3 years in the system administration field is recommended. The CompTIA Cloud + certification boot camp is a 5-day course consisting of 40 hours of instructor-led training. Washington DC Metro and Northern Virginia is our Home. Most training centers set up shop in hotels or rented centers. When you have a need, request or encounter a problem they are not there to answer. Our physical location in Alexandria is open 7 days a week and our staff always there to help.